NES Captain America and The Avengers (USA) in 14:17.27 by xipo. 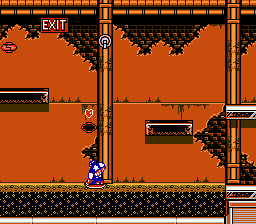 Captain America and the Avengers is a game developed and released by Data East in 1991. It features the Marvel Comics characters The Avengers in a side-scrolling action platform to defeat the evil Red Skull. In this run, Xipo takes a full advantage of a forward slide and all types of Captain's shield attacks, he even swims on the acid in it! Though he ignores the power-up system, because collecting the poles he would lose more time than could be gained by more powerful attacks. This run is 10.44 seconds faster than xipo's previous movie due to skipping two "Red Alert" screens.